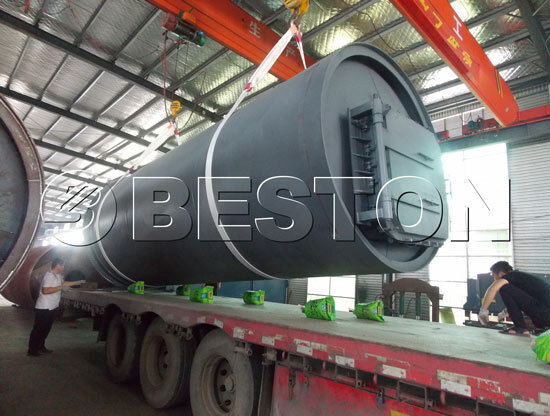 Beston continuous plastic pyrolysis plant can process 20-14 tons of waste plastics (such as PE, PP, PS, ABS, pure white plastic, pure plastic cable, pure purchase bag etc. )per day, which can work continuously for 24 hours without a stop. 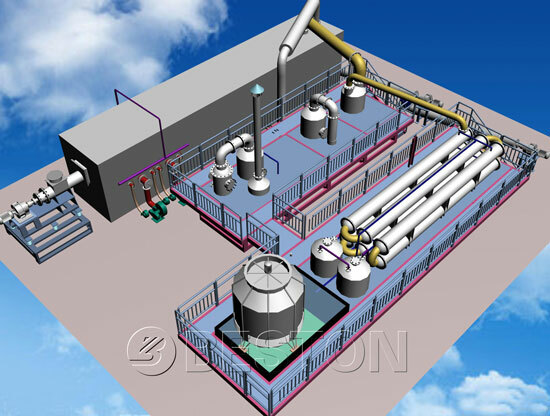 In a word, the latest continuous waste plastic pyrolysis plant has the features of small size, small floor area, simple operation, less operator etc. To a large extent, the new device not only saves the operating costs, but also improves the work efficiency for us. 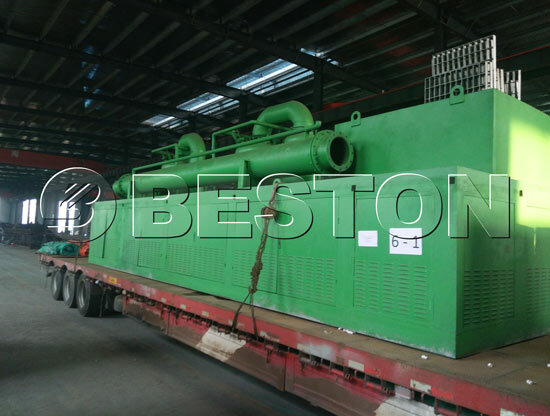 Beston continuous pyrolysis plant is mainly composed of moving horizontal pyrolysis reactor, hot air circulation heating system, oil gas filter, spray cooling system, secondary fire retardant damper, strong spray de-dusting system, oil gas recycling system, feeder system, discharging system, pressure and temperature multipoint monitoring system, central electric control system. All of parts are manufactured with high-quality materials and advanced technologies, so the quality of this plant can be guaranteed. 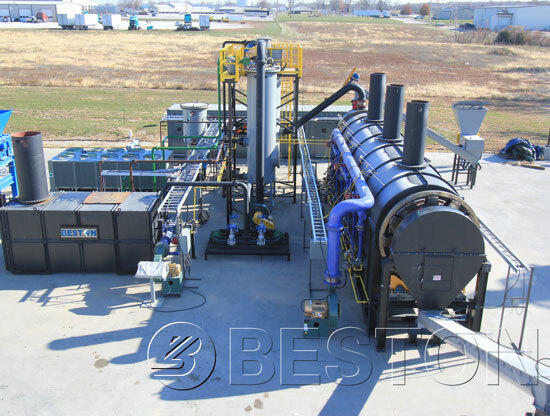 The latest continuous pyrolysis equipment adopts the screw feeding sealing system technology, which is hold by the company’s invention patents, hot air heating furnace circulating heating technology, heat drying technology with high heat exchange efficiency and capacity. Impeccable electrical control system save labor costs. 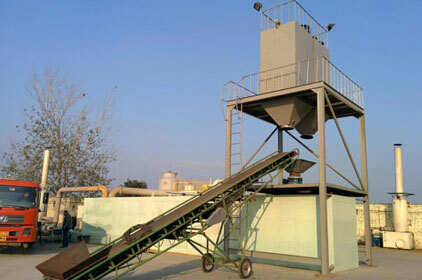 Three waste utilization reasonable recovery can basically realize of zero emissions, safety and environmental protection. 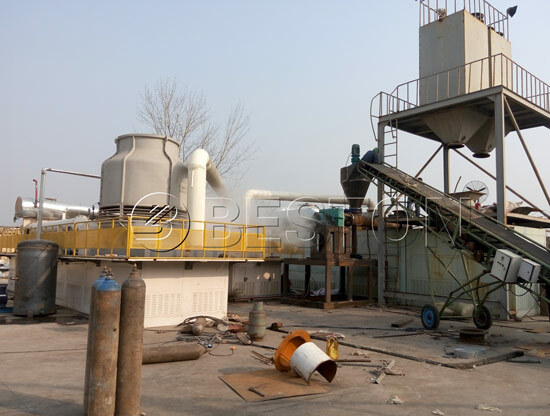 Feeding crushed plastic into reactor by the sealed screw conveyor, then fire the fuel in the burning room, the fuel could be diesel natural gas, LPG. The hot air will flow into the reactor for heating. When the inner temperature of the reactor reaches to related degree, the oil gas will be generated, then goes into the manifold firstly. In the manifold, the heavy particles will be liquefied into heavy oil and drop in the heavy oil tank. The light oil gas rise up. The damping tank will reduce the oil gas moving speed, and then goes into condensers uniformly. In the horizontal tubular condensers, the oil gas will be liquefied into fuel oil. A large scale of oil gas will be liquefied into fuel oil and enter oil tank. 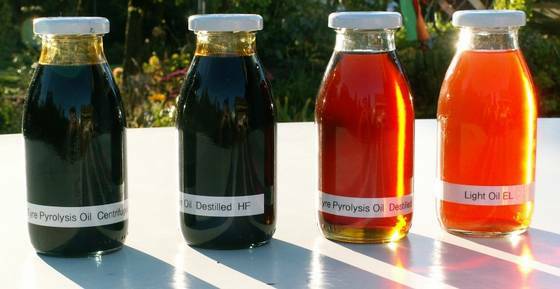 In the hydroseal, the combustibe gas will be desulfurated and cleansed. Then recycled to the burning room to provide heat, saving a lot of fuel. Hot smoke gets out from the reactor through the inner pipe of heat exchange system. Air(Oxygen) enter through the out pipe of the heat exchange system. In this process, the air will be heated by the hot smoke, then transferred to the burning room to provide the oxygen, this is the function of the heat exchange system. In the flue condenser, the smoke will be cooled down, then enter the dedusting system. 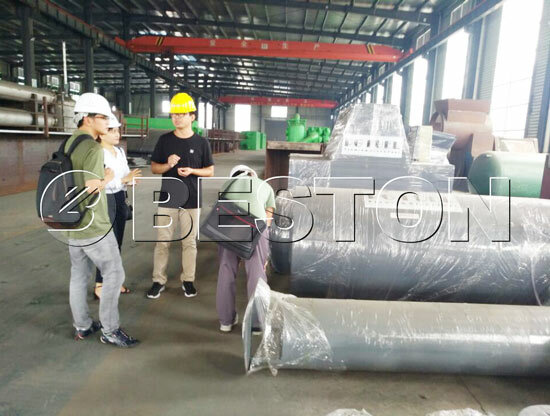 In the spraying tower, the smoke will go through the water washing, water spray, ceramic ring adsorption and activated carbon adsorption. After four filters, the clean smoke can meet the EU environmental protection and emission standards. The carbon black will be discharged by the auto screw discharger. • Reprocessed into high-quality carbon by the carbon black production plant. 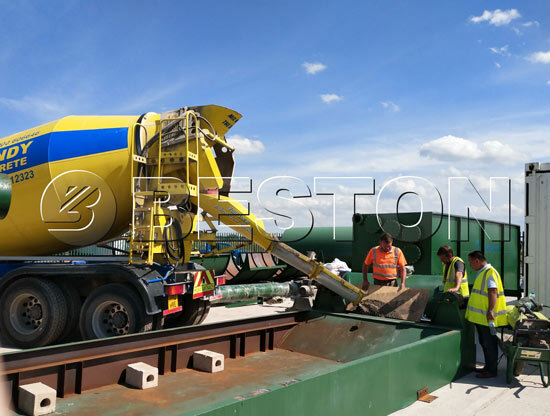 As the leading manufacturer and supplier of continuous pyrolysis plants manufacturer in China, our plants are becoming more and more popular in the international market. And these plants have been exported to the United Kingdom, Turkey, Poland, Nigeria, Ukraine, Romania, Malaysia, Brazil, etc. At last, If you are planning to purchase the continuous plastic pyrolysis plant, please contact us now or leave a message online. And we look forward to working with you.